A rare bird in Britain, this one over-wintered in Devon. Pentax DA* 300mm F4 ED [IF] SDM, HD PENTAX-D FA 150-450mm F4.5-5.6 ED DC AW, Pentax DA 560mm F5.6 ED AW. Pentax HD PENTAX-DA AF Rear Converter 1.4X AW . Pentax AF160FC Auto Macro Ring Flash. Great shot! 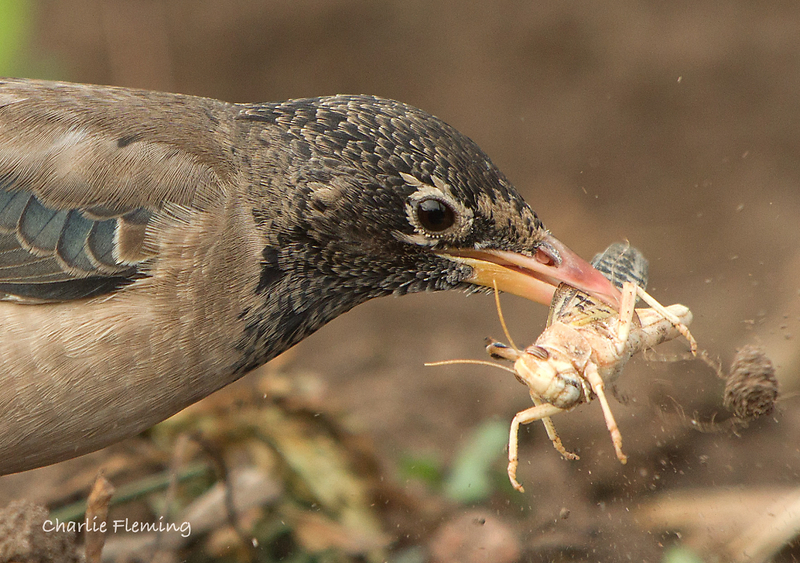 Did you feed the Grasshopper to it, or did the bird find it in the wild? I just photographed it acting naturally. Lucky I suppose. My website featuring daily updates of wildlife photographs.